A group of fishermen recently had a scary moment off the coast of New Jersey when a great white shark swam right up to their boat and stole their chum bag. It's just the latest incident involving great white sharks along U.S. shores. 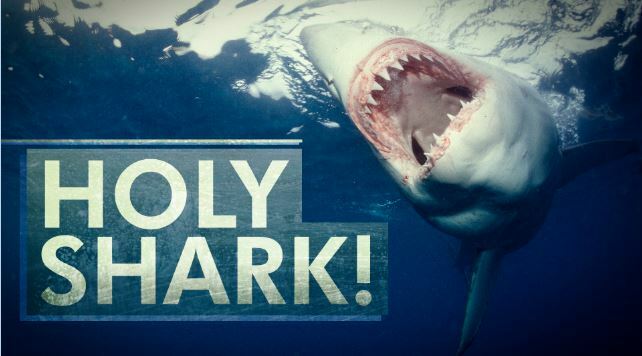 So what's behind the increase in great white sightings and how can people protect themselves? On "New Day" Tuesday, Marine Scientist Christopher Wojcik explained the population has been on the rise and is up 42 percent since 1997. Wojcik said there are three reasons the population is growing: An increase in seals, efforts to change the animal's image, and mainly – a federal ban on hunting. He explained that people used to prize the great white's teeth and jaw so much they hunted the animal to drastic depletion of the population. Then in the late 1990's, the animals became federally protected. It remains illegal to kill a great white shark anywhere around the United States farther out from 3 miles until 200 miles from the shoreline. WHAT CAN YOU DO TO AVOID SHARK ENCOUNTERS? As we're now into summer, Wojcik offered tips on how to avoid shark encounters. "You're laying a little breadcrumb trail behind you for the sharks," he said. "When they cross it, they can follow the chum slick right back to the boat." That's when great white sharks have a tendency to hunt. As much as possible, aim to hit its nose, grab its gills and poke its eyes. In today's edition of the "Good Stuff," a jogger spots a missing baby and a Houston police officer cradles the 8-month-old in his arms. CNN's Michaela Pereira reports. Hong Nguyen was visiting Houston from Vietnam and jogging when she heard the cries of a baby. When she followed those cries, she found they were coming from little Genesis Haley. The 8-month-old was still strapped in her car seat where a kidnapper had left her by the side of road. She had been missing for about six hours after a man stole the car she was in from outside a gas station in the early hours. Her mother had stopped to buy a soda, leaving the car keys in the ignition. Nguyen notified police, who'd already been searching for hours. "As a father, I'm just at a loss for words cause I love my kids and I just don't understand how somebody could do that," said Albert Pizana, the officer who responded to the emergency call. And as heartbreaking as this photo might be, the image of baby Genesis being held by Pizana blanketed in a Houston police uniform trumps all. See the full story at CNN affiliate KHOU, and if you have #GoodStuff news, let us know. Queen Elizabeth II visits the set of HBO's hit series "Game of Thrones" in Northern Ireland. The U.S. men's national soccer team is gearing up to face Germany on Thursday in World Cup group play. But the Germans, it turns out, are not the average opponent. 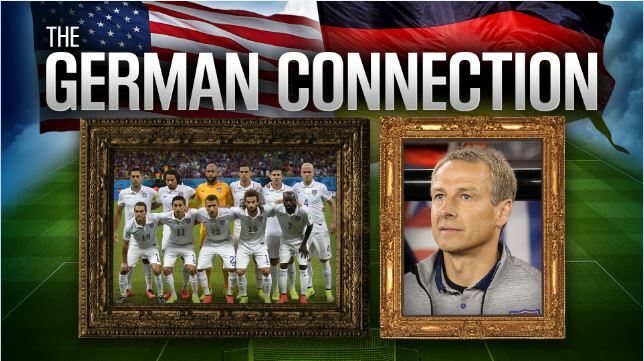 Ties to Deutschland on Team USA run deep - very deep.